The following is the text from the Chilton sales brochure - circa 1937. The Chilton Monoplane sets entirely new standards among ultra-light aircraft as regards safety, practical performance and economy. The engine is well known for its complete reliability, the basic design is one which has been tested by countless millions of miles on the road and thousands of hours in the air. It requires practically no attention at all, and will continue to give its full power for hundreds of hours between overhauls, and is far smoother and quieter than most aero engines. The Chilton is of orthodox construction and design embodying the latest aeronautical practice, but nothing that has not proven highly satisfactory in actual use. Its strength is far in excess of all normal requirements and, needless to say, only the best materials and workmanship are used. The cruising speed of 100 m.p.h. is vastly superior to that of any other machine of this type, and allows really practical cross country flying, even against strong head winds. The landing speed is only 35 m.p.h. This remarkable speed range is achieved largely by the use of split trailing edge flaps, which reduce the landing speed, and also confer the advantages of a flat or steep gliding angle at will. The landing itself is supremely simple and the run short, the take-off is also short and the climb rapid. These features, combined with a really trustworthy engine, provide the highest possible degree of safety. The ease of handling, both in the air and on the ground, is quite exceptional for this or any other type of aircraft. The controls are light and powerful but not unduly sensitive. All these points and the excellent view obtained from the cockpit inspire the pilot with a quite astonishing degree of confidence right from the start. As regards economy the Chilton is no less outstanding, combining as it does a performance hitherto only associated with engines of a far greater power, with a low first cost and the running expenses of a motorcycle. Both engine and airframe require very little maintenance, spares for the former, should they be required, are instantly available from any Ford dealer The actual running costs amount to far less than a half penny a mile at 100 miles per hour. Tare weight 400 lbs Span 24 ft. Pilot 160 lbs Length 18 ft.
Luggage 20 lbs Height 4 ft. 10 ins. Fuel 62 lbs Track 6 ft.
All-up weight 650 lbs Wing area 77 sq. ft. Maximum permissible 700 lbs Wing loading 8.44 lbs/sq. ft. Maximum speed 112 m.p.h. Take-off run 80 yds. Cruising speed 100 m.p.h. Landing run 50 yds. Rate of climb 650 ft./min. Fuel consumption 60 m.p.g. 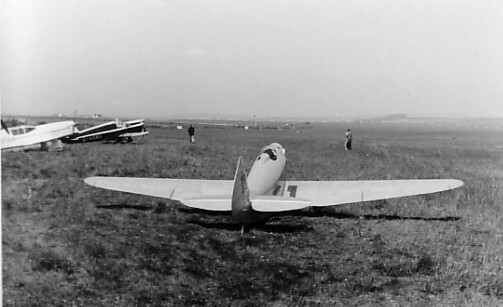 Type - Single seat low wing monoplane. Fuselage - rectangular wooden structure with curved decking covered with plywood. Wings - cantilever, wing in three sections comprising rectangular centre section and two tapered outer sections, covered with plywood back to the rear spar fabric covering thereafter. Split trailing edge flaps over 50% of the span. Tailplane - cantilever type, all wood construction, tailplane and fin ply covered with elevators and rudder fabric covered. 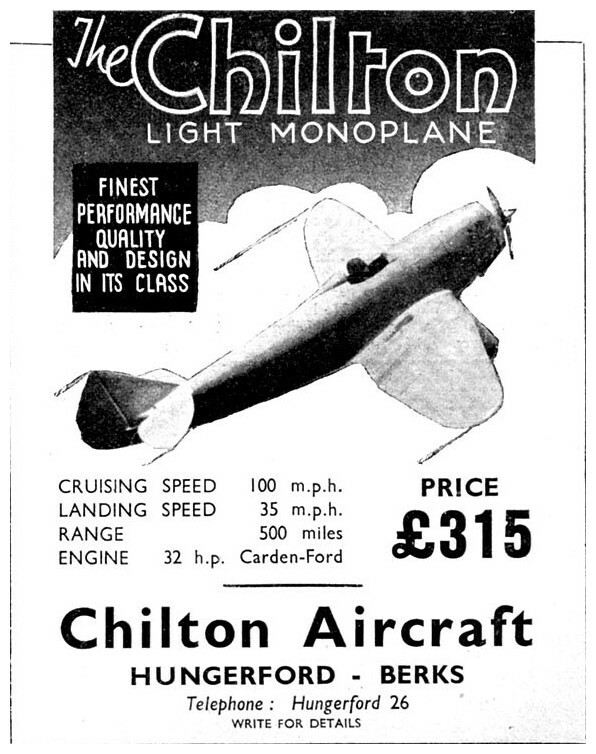 The Chilton Monoplane is probably the only aircraft to have been designed at De Havilland's not to bear that Company's name. It was designed by two very bright young students whilst at the De Havilland Technical School. Having both been educated at Eton College, they were the Hon. Andrew William Henry Dalrymple born 10 May 1914, he was the son of Sir John Dalrymple 12th Earl of Stair and Alexander Reginald Ward born 27 February 1915, he was the son of Sir Hon. John Ward, whose father was the 1st Earl of Dudley, hence the initials D.W.1. The design was something of a freelance exercise and was carried out at Hatfield during 1935 and early 36 under the watchful eye of Marcus Langley (Chief Design Instructor 1932-39), to the very highest of standards. The Miles Hawk was the latest thing at the time and Miles geometry influenced the fuselage design, including the Miles system of using office staples in place of gimp pins but constructional standards were of a higher order corresponding to the best at De Havillands. On leaving De Havillands, Ward and Dalrymple formed Chilton Aircraft, then persuaded their wood-working instructor at De Havilland, Fred Luscombe to come and work for them. 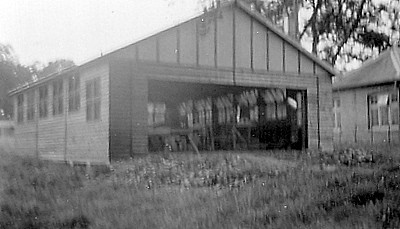 Fred commenced work at Chilton Lodge on 18th May 1936 and built a test wing and a mock-up of the forward fuselage before commencing work on the prototype, this was registered G-AESZ in January 1937. 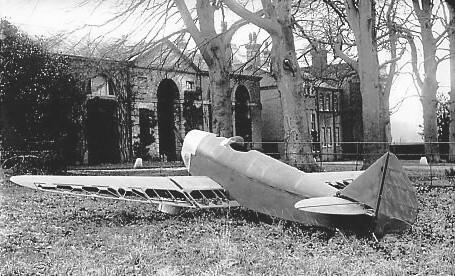 The aircraft was constructed in wooden building specially erected for the purpose in the grounds of Chilton Lodge, the stately home of Wards parents set in a extensive grounds at Chilton Foliate, Berkshire. The choice of engine for such a machine was very limited, the Carden-Ford was selected as being the most suitable, being an aero adaptation of the Ford 10 side-valve motor car engine of 1172cc capacity cleverly modified with dual magnetos by Sir John Carden, primarily as a power plant for the Flying Flea. The engine developed 32 h.p. @ 3,300 r.p.m. was reliable but with its cast iron cylinder bock and water cooling it presented a rather grim power to weight ratio of 5.5 lbs per h.p. Dalrymple described it as "sheer weight" and having lifted one of these engines myself I know exactly what he meant! 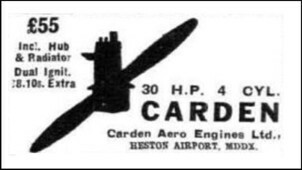 Carden Aero Engines was formed in 1935 by Sir John V. Carden Bt., Technical Director of Vickers-Armstrong, who's name is associated with Carden-Lloyd Tanks, Tractors and Carden Light Cars. Sadly Sir John was killed in an airliner crash in December 1935, the company was then taken over by Carden-Baynes Aircraft Ltd. 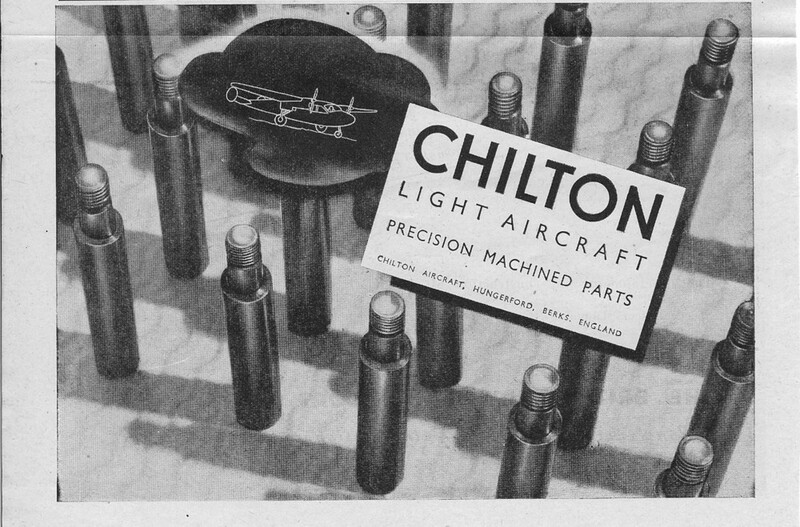 In 1937 it was acquired by Chilton Aircraft, to produce engines for its own needs. The Carden-Ford engine was bolted directly on to wooden bearers which were simply an extension of the fuselage sides, an idea obviously inspired by the early wooden DH Moths. The prototype was completed towards the end of March 1937 and it was taken to Whitney Aerodrome in Oxfordshire for its flight trials. These was carried out by Ranald Porteous, who had been a fellow student at De Havilland's, he subsequently became Auster Aircraft's test pilot during the 1940s and 1950's and was famous for his exhilarating displays. The Chilton made its first flight on the 16th April 1937 and though the aircraft flew faultlessly, the engine overheated as the cowling aperture for the radiator required enlargement, however the cowling was quickly modified and no further problems were encountered. After the prototype came the first production machines, G-AFGH and G-AGFI, apart from small differences in the cowlings & colour schemes, the three machines looked very much alike. 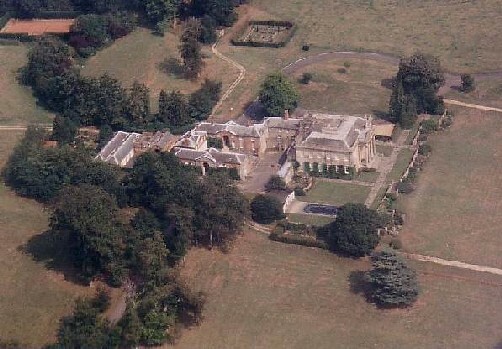 Most of the subsequent flying took place from the private landing ground of the Earl of Cardigan at High Trees nine miles away on the edge of the Savernake forest just south of Marlborough. The machines were hangered in the Earl's private hanger, a large substantial building adapted to take an Avro 504N that was no longer kept there. The aircraft were transported by road with the outer wing panels off along with petrol and lubricating oil in two gallon tins from the family pump. As a result all maintenance and minor repairs took up a great deal of time due to travelling and lack of any tool facilities, bench etc. at all. One of the machines, probably 'GH was flown brand new from what was known as the 100 acres, a huge fairly level pasture some distance from the works. The machine was towed by car on its own wheels along the public road with frequent stops to grease the wheel barrow wheel axles, needless to say road traffic then was only a fraction of what it is today but still towing a whole aeroplane on a country road was awkward and was only done once. I accepted the offer of employment at Chilton Aircraft, and on arriving I was taken to the workshop in the extensive grounds of the large mansion, driven in an estate car by a chauffeur in a gorgeous uniform. The chauffeur, who I took to be an exalted family retainer, was in fact the junior of three and the vehicle was the "dog box" used to transport expensive dogs to shows. Lady Ward possessed 60 dogs, mostly Labradors and Spaniels and employed a man and boy full time in a separate establishment away from the mansion to look after them, the dogs were not for sale only for shows. Chilton Aircraft was a wooden building discreetly hidden under the trees out of sight of the stately home. Total personnel at that time consisted of the two partners Dalrymple and Ward, Fred Luscombe, Herbert Ross a local boy, Walter Hart and myself. The works "office" was by far the most impressive part of the whole establishment, being a large room, sumptuously furnished with a real parquetry floor and large enough for a modest dance, it was the lower part of what had been in former days the nursery wing, quite separate from the main rooms of the house, with its guest suites and a whole wing for the domestic staff. Across the courtyard was the coach-house, a large brick building with huge doors that contained old or should I say vintage examples of beautiful horse drawn vehicles made by the American firm of Brewster (who later made the Brewster Buffalo aircraft). A large and expensive fleet of cars were housed in two separate garages with petrol tank and pump in the rear. The works was an anticlimax, the contents comprised three woodworking benches, a band saw, a pair of emery wheels and a portable 3/8" drill in a stand plus a few hand tools. Stocks of spruce, ply, engine components overflowed into the coach house. After the success of the prototype, the partners were approached by Mr Whitney Straight to build a large number (100 was mentioned) of J.A.P. engined Chiltons; the flat two cylinder JAP of 36 h.p. had just come on the market due to the demise of the Hillson Praga cabin monoplane, so a number of engines were available. Drawings were prepared but it all came to nothing, later when I stumbled upon them, I handed them over to Dalrymple he passed them to Ward with the wistful comment "perhaps it was for the best" and refused to volunteer any more information, the only statement he made on the subject was "I do not like two cylinder aeroplane engines", personally I think Whitney Straight wanted to much for his money. It was the most extraordinary firm I had ever worked for, I was never quite sure if it really was a business or just the two partners hobby that later because of the war grew to quite a large concern. Both Ward and Dalrymple were extremely well connected socially, they were related to the absolute pinnacle of the aristocracy, Wards parents especially being extremely wealthy, Ward's farther had been Equerry to King George V whom he had entertained at Chilton. We were expected to carry on working when the partners drifted in with their guests, be they Royalty or famous film stars. The two partners would stop work at the slightest pretext for social matters, never again will I see a real live butler, impeccably dressed and carrying a silver salver with a memo, approach my employer and murmur "Her Ladyships compliments, you are required for a fourth at bridge immediately", I was also invited to act as gun loader for shooting parties but respectfully declined. When I arrived at Chilton Aircraft the DW1A was under construction, the "A" denoted that this was to be powered by the French built 44 h.p. Train engine, the increase in power was just what was required to get the most from the highly efficient airframe. Apart from metal engine bearers, a separate oil tank, and an increase in the area of the fin and rudder to balance the longer nose, the rest of the aeroplane was unaltered. This aircraft was registered G-AFSV, and was finished in an overall high gloss black with white trim, it looked and flew beautifully. With a top speed in excess of 130 mph, not only was it supremely fast but it was also fully aerobatic and greatly impressed all who had the opportunity to fly it. It won the first race for which it was entered at Lympne on the 5th August 1939 - The Folkstone Aero Trophy Race, piloted by Andrew Dalrymple it averaged 126 mph over three laps of 19.5 mile course. This was the last air race before war was declared on 3rd September 1939 when 'FSV was put into storage for the duration. The joy of the partners was short lived, as very shortly after 'FSV's victory, 'FGH was cart wheeled over a stone wall near Leicester by an inexperienced pilot, he was unhurt but 'FGH was a real mess, after a long conference in the Works with the insurance representative, it was decided that 'FGH was worth repairing but only just, the long rebuild extended into the so called "phoney war" and it was then that the wing slots were incorporated into 'FGH 's wing and proved to be very successful. A long range tank was fitted in 'FGI, about July or early August 1939 as near as I can remember, all the work was carried out by Fred Luscombe on site at High Trees, it was installed for an attempt on the long distance record for ultra lights and given a chance would have broken it easily as there was tankage for almost a 1000 miles, but that was a 10 hour flight, quite a long time to sit still, the worsening political situation finally put a stop to the attempt. The Chilton was too small for impressment and all four eventually spent the war in storage in the hangar at High Trees, four small aeroplanes fitting nicely into a hanger made for one Avro 504N. The war came slowly to Chilton, apart from the black-out and the arrival of the evacuees, most of whom went back home in a very short time, life progressed nearly as before, 'GH was duly rebuilt, test flown locally then put into store. The gentry decimated the pheasants at the appointed time, I was invited to perform the duties of gun loader but again declined. True, the military requisitioned part of the private house and all of the extensive grounds, nearly a square mile for an army camp but did not trouble us very much, there was no sense of urgency, workmen putting up army Nissan huts only worked normal hours. After the evacuation at Dunkirk and the Battle of Britain came a change, war materials were made in ever increasing tempo until 'D' day 1944 when the hours worked were tapered off". Having made the decision to stay in business, not made lightly, in 1941 Ward joined the Air Transport Auxiliary, (Air Transport Auxiliary History) the civilian organisation set up to ferry service aircraft around the country, as both he and Dalrymple had bad eye sight that stopped them from flying operationally. This left Dalrymple to run the business, the works went over to the manufacture of small machined metal parts and such components as could be made in a small area under sub contract from larger firms. From two men and a boy in 1938, by 1945 around 250 people were employed working in shifts around the clock. In 1942 the first U.S. troops arrived and from then until D Day in 1944 Southern England was literally transformed into an enormous armed camp with soldiers everywhere. The Army camp in Chilton private grounds became the official U.S. Parachute School, with the mansion the Headquarters of the Commanding Officer, Col. Raff. Very quickly the Camp buildings were increased in number and accommodation with ancillary features like the Camp theatre, repair workshops for servicing the vast number of parachutes, with water and sewage disposal equal to a modest town. Nearby fields were converted into Commando type training areas. Parachutists were taken by truck to nearby aerodromes, emplaned in Dakotas, then dropped in sticks of seven over the fields. Of course several Dakotas dropped their loads at the same time so many chutes were coming down at once, some attached to pieces of military equipment. After clearing their chutes the soldiers collected their stores containers and went round an obstacle course that had been set for the exercise ending up back at the camp, a special party was always standing by to collect chutes and anyone with a broken ankle, there was always a few. The operation of the U.S. parachutists was quite different from the infantry, after each drop they only stayed a few days and were then returned to their base camp having been replaced by normal troops. As a result, by the time of the crossing of the Rhine, Chilton employees had got to know the officers and men extremely well. In return for quite modest services to their equipment they gave us vast amounts of timber and plywood from the huge packing cases that the Waco Army gliders came over in as deck cargo and the large plywood parachute containers. The large Waco packing cases were some of the largest ever made and must have cost a great deal of money, they were made from good quality 1 ¾” planed softwood and many of the planks were 20’ long by 11” wide, they had no nails as were of all bolted construction so was ideal building timber. A large part of the extensions to the Chilton factory from 1942 was built from American timber. Suddenly the supply dried up and all assumed it had all been used up, not so, true most of the gliders for the European invasion had been delivered but there was still a large dump of empty cases. Many years later Harold Holdsworth came across a book entitled “The Big Load”, the autobiography of a long distance truck driver who had operated from the area of the packing case dump at the time. According to the book other people near the dump had been presented with second hand timber in return for searching for broken glider tow ropes and other useful parachute equipment that had gone astray. Unfortunately it came to the notice of the British Timber Control who came and burnt the entire remaining timber in one huge bonfire to the mystification of the Americans who said “We thought you guys were short of lumber!” which of course we were, truly are the ways of officialdom strange. 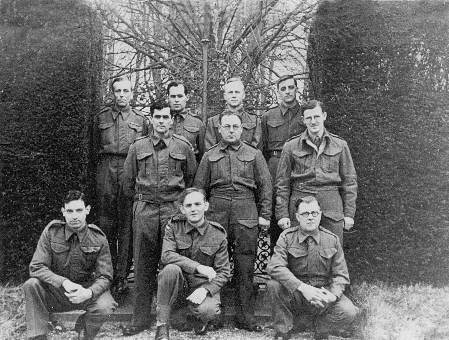 Chilton Aircraft had their own Home Guard unit made up from employees, the Government had announced the formation of The Home Guard on 14th May 1940. It was originally called The Local Defence Volunteers but the name was changed to The Home Guard in July 1940. The Home Guard was comprised of unpaid volunteers from reserved occupations, and those too old or medically unfit for military service. Initially devised as a means to defend the critical port of Dover in response to the imminent threat of German invasion, the ranks swelled quickly with local volunteers, too old to enlist but eager to fight. Over a quarter of a million men tried to sign up in the 24 hours following the announcment. The government had expected 150,000 men but by the end of the first month 750,000 men had volunteered. By the end of June 1940, there were nearly 1.5 million volunteers and the number never fell below a million for the rest of the organisation's existence although the peak was 1.8 million in March 1943. The original remit of the Home Guard of providing local forces of a defensive nature quickly expanded to certain units operating anti aircraft guns. Units were formed throughout the country on a local basis organised by town councils and certain industries. For example the Post Office and Railways had their own Home Guard units. Even once the threat of invasion had passed, the Home Guard remained in existence manning guard posts and performing other duties to free up regular troops for duties overseas. In 1942 the National Service Act allowed for compulsory enrollment where units were below strength. At this time, the lowest rank within the Home Guard called, 'volunteer', was renamed to 'private' to match the regular army usage. However following the successful invasion of France and the drive towards Germany by the allied armies, the Home Guard were formally stood down on 3rd December 1944 and finally disbanded on 31st December 1945. Reserved occupations were those occupations considered important to the war effort. One of my work colleagues fell into this category, as he was in charge of the production of 20mm cannons at the Hispano-Suiza factory in Grantham, Lincolnshire. This factory was of immeasurable strategic importance to the war effort, particularly irreplaceable were the special DHBM (Deep Hole Boring Machines) that produced the long barrels of the cannons, these machines were so important that they were enclosed in their own large bomb proof shelters within the factory. One event he remembered on the outbreak of war spawned a film, called "The Foreman Went to France". This was the true story of a foreman from the Hispano factory, Melbourne Johns. The Company were aware that the Hispano factory in France had DHB machines we desperately needed and they could not be allowed to fall into German hands. He went to France and at great personal risk, organised the removal of the machines from the factory under the noses of the advancing Germans and French collaborators. He managed to get them on to a lorry and to stay just ahead of the German advance, finally getting them back to England where they were immediately put to good work. After the American timber stopped there were constant additions to the original Chilton workshop in an effort to create more space, a chicken house was obtained and grafted on and numerous other additions. 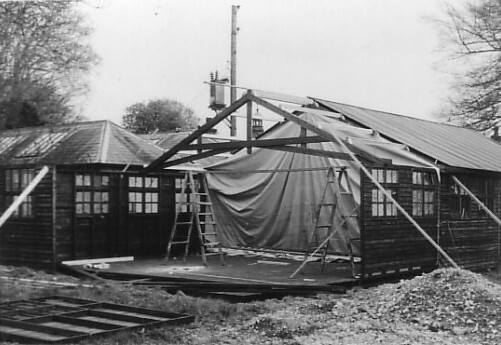 Each extension used a different type of construction, using different materials that were available during the war, timber in particular was extremely hard to obtain. This was apart from creating further space by taking over the old game larder, an existing brick garage and the boiler house and coke store. What made Chilton unusual was the age and antiquity of the machinery, the first lathes and milling machines to arrive bore a distinct resemblance to those from an industrial museum. They were belt driven from overhead power shafts, which gradually but persistently pulled the shed walls and let the rain in and the artificial light out, a sore point during the black out in the middle of a military camp. Later when Lend Lease got into its stride brand new American machines could be hired from the Ministry of Aircraft Production so things were not so bad, but the timber situation was impossible, so much so that a wooden floor in one of the buildings was pulled up and replaced by concrete in order to provide timber for packing cases. During the war output fluctuated greatly due to the constant improvement or total scrapping of aircraft which were found wanting, like the Defiant, Manchester & Whirlwind. The firm rarely got a firm order for a large quantity of machined parts, always so many per month in case there was a cancellation. The cancellation of the Manchester was a hard blow because the tooling had been specifically made for the parts, not only were they wasted but time was lost before new work came in. The scrapping of the Whirlwind led to an outburst of rage on the part of the normally placid and very methodical metal store keeper, in former days Ted had been a Butler used to a very dignified and orderly life, the constant changing was quite incomprehensible to him. The weekend in question he had spent the entire time carefully racking and documenting a delivery of 10 tons of high grade steel, on the following Monday morning he was ordered to pull it all out again, explanations were to no avail Ted was convinced it was pure inefficiency. Ted's first few days of employment were spent on a hand threading machine, an incongruous sight, a large dignified man dressed in tail coat and pin stripped trousers, of course at the first chance he obtained more suitable clothing. In 1941 due to the vast expansion of metalworking and the bombing there was a great scarcity of machine tools and hand tools as there was no form of rationing or control. The new night shift foreman told Ward that he had contacts in London and if provided with the required cash could easily supply their requirements. He was given a supply of money and was never seen again, true a large parcel of much needed tools did arrive but they were all cash on delivery. Nine months later retribution caught up with him and the foreman went to prison for nine months, not so much for cheating Ward but for cheating the youngest apprentice out of a much smaller sum, the judge took a very dim view of that. Shortly afterwards the wonderful output of the night shift was found to be purely fictitious, with the connivance of the night shift foreman they had merely stolen a proportion of the output of the day shift, all was not well with the manager, there was no police prosecution he just went to another situation. Near the end of the war, exact date not known, an American Harvard aircraft was stolen from the continent and landed around 11 p.m. in near darkness on the outskirts of Hungerford. In taxying to hide the plane in the edge of a wood the plane fell over the edge of a sunken road and was trapped. The pilot left in such a hurry that he did not put out the landing light or take the tinned food that he had with him, that night a car was stolen so it was assumed to be him. If the matter was ever sorted out it was certainly not made public, an armed guard stayed with the plane several days until it was dismantled and taken away. Towards the end of the war the authorities authorised a certain percentage of man hours towards post-war product development calculated to assist post-war UK exports. 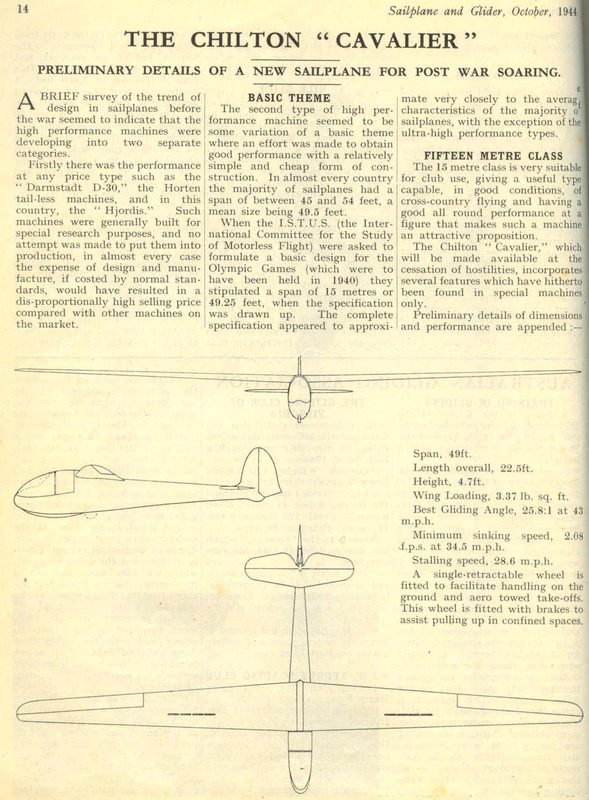 During 1944 Chilton designed the Chilton Cavalier, a single seat 15 metre span sailplane for production after the cessation of hostilities, however these plans were shelved when they were approached by Dudley Hiscox, the noted sailplane pilot, who asked them to build an Olympia Meise sailplane. With the decision to add the sport of gliding to the Olympic Games, Hans Jacobs designed the Meise (Tomtit) in 1938 as one of the entrants in the competition to select a sailplane for the forthcoming 1940 Olympic Games to be held in Helsinki. The successful design would have been flown by every nation's competitors. The Meise was far superior to the other entrants and after being selected as the winning design was renamed the Olympia Meise, but it all proved academic as the war meant the Games were not held and gliding was not included in the post war Games. The Chilton Olympia was in fact a complete re-design of the German Meise but it preserved the same external aerodynamic shape. It also had a beefed-up main spar and joint fitting to meet the up-gust case that the ARB proposed to introduce. 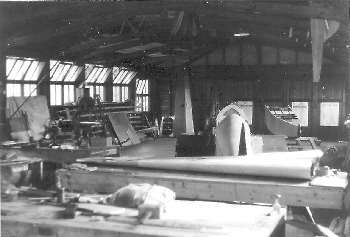 The fuselage was started but early in 1945 the wings were sub-contracted to Elliotts of Newbury who had been pre-war furniture manufactures. 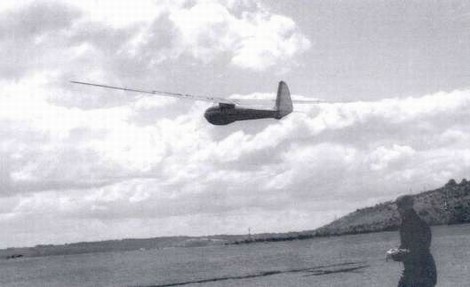 During the war Elliotts had built troop carrying gliders and post-war wished to develop the expertise they had gained with their military glider work. 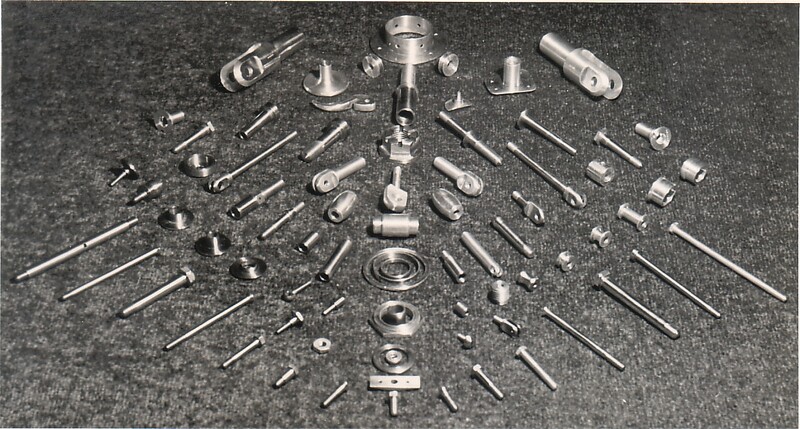 However on completion of the wings Elliotts refused to sell Chilton the wing jigs that were required for production of the Olympia. However after the death of Andrew Dalrymple, an agreement was reached whereby Elliotts purchased from Chilton Aircraft production rights to the redesigned Olympia and all work in hand. The Olympia proved to be a superb sailplane and many variants were built over the years by Elliotts up until the early sixties. The Olympia prototype received the Chilton Aircraft serial number CAH/OL/7, later under the Elliotts numbering system it received the serial number EON/O/030. It was registered BGA 434 and received its British Gliding Association Certificate of Airworthiness in June of 1946, having made its first flight on Saturday 10th August 1946, price in 1947 was £495. The Chilton Olympia was later sold to Eire where it received the registration IGA 103. It was bought to the Slingsby Sailplane workshops in Yorkshire in a damaged condition on the 8th July 1967 for repair, but was found to be suffering from partial glue failure. The canvas topped trailer in which it was stored was damaged by gales during the winter of 1968-9 resulting in the Olympia becoming waterlogged, it was subsequently dumped behind a hanger in the summer of 1969 after its trailer had been sold, sadly this further exposure to the British climate rendered it beyond economic repair and it was finally burnt in January 1970. Other development work at Chilton during 1944 was devoted to a low wing side by side two seater, the Chilton Challenger, with Cirrus Minor engine or optional Gipsy Major. No firm decision had been taken as to whether it should have a tail-wheel or tricycle undercarriage, it got a far as a mock-up of the cabin and centre section. If it had been completed it would have resembled the North American Navion that came out a few years later. Some work was put into revamping the DW1 for post-war production, the Carden-Ford was out because it was not a fully certified aero engine, the future of the makers of the Train engine in Paris was unknown, but there was understood to be a store of Walter Mikrons in the UK that were associated with pre-war Tipsy manufacture and this was to be looked at. The Chilton used wheel-barrow wheels on the undercarriage but the ARB indicated that the use of these would not be allowed post-war and only conventional aircraft wheels were to be used, this would have entailed some re-design of the undercarriage and would result in wider 'trouser' to accommodate them. However the tragic death of Andrew Dalrymple on Christmas day 1945, marked the end of powered aircraft manufacture at Chilton. The circumstances were that a German Fiesler Storch aircraft had been obtained for use as a tug aircraft for assisting with the Olympia sailplane development program. Reggie Ward had by this time returned from the ATA having flown most of the service types during the war and had himself, survived a crash landing in a Spitfire following engine failure, he was present on that Christmas day and witnessed the death of his partner. Mr. Ward was in a field known as Chalk Ground, when shortly after 3.30 p.m. Andrew Dalrymple suggested that Mr. Phillips (the pilot of the Storch) should taxi the Storch to a more sheltered position by the hedge. Mr. Phillips having started the engine then suggested taking Dalrymple up for a few circuits of the field. Dalrymple got in and the machine took off, it had made two or three circuits and was climbing. Mr. Ward later recalled at the inquest, that he saw the 'plane fly straight and level over his head, when he suddenly noticed that the starboard wing of the machine had folded up in the air, the aircraft immediately spun to the ground and burst into flames, both men were killed, see below for the official report. The Accidents Investigation Branch - Official Report (in part). Aircraft. 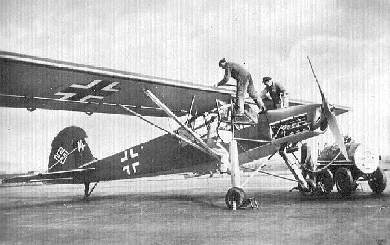 Fieseler Fi 156 (Storch). Owners. The United States Forces in Germany. Pilot. Mr. D. B. Phillips - killed. Place of Accident. Near Hungerford, Berks. Date & time. 25th December 1945 at 15:45 hrs. The accident occurred in the course of a demonstration flight made in the neighbourhood of the Chilton Aircraft Company’s works. The pilot was an employee of the Company and the passenger was one of the Directors. The aircraft took off from a field near the works, made a few circuits and then descending to a very low altitude flew past a member of the Company’s staff who was watching it from the field. Just after the aircraft had passed him he saw the starboard aileron flutter and then become detached. The aircraft crashed immediately afterwards and the aileron fell to the ground about 100 yards away from it. An outbreak of fire occurred when the aircraft struck the ground and both occupants were killed. It is understood the no aerobatic manoeuvres were carried out and that the aircraft did not strike anything during the flight. The weather was fine, visibility good and wind light. The pilot, Mr. Phillips, was employed by Chilton Aircraft Co. as a designer. He joined the Royal Air Force in September 1940, was remustered Pilot and promoted to the rank of Sergeant (Temporary) in April 1942 and was discharged as medically unfit in January 1943. In July 1943 he was granted a commission in the R. A. F. V. R. for service with the A. T. C. in the rank of Acting Pilot Officer. In his application for this commission he stated that his total flying time amounted to 125 hours dual and 175 hours solo, that the Service types he had flown as pilot were Defiant and Lysander and that he had last flown as a pilot in November 1942. He resigned his commission for business reasons in January 1945. Mr. Phillips obtained permission from the Ministry of Aircraft Production to go to Germany for the purpose of studying certain aspects of the German aircraft industry, he had received no authority to bring back any aircraft. The passenger, The Honourable A. W. H. Dalrymple a Director of Chilton Aircraft, held a civil pilots licence (No. A6844) almost continuously from August 1934 until October 1940. The licence had not since been renewed. In September last, Mr. Dalrymple requested the Ministry of Aircraft Production to supply a Fiesler Storch aircraft to his firm for experimental purposes but the request was not granted. The aircraft was obtained from a dump in the American Zone of Occupation and had been scheduled for destruction. It is understood that Mr. Phillips did some repairs to the aircraft which included fitting a starboard aileron, repairing one of the starboard aileron hinge brackets and painting R. A. F. roundels on the wings. The pilot flew the aircraft to Shoreham via Darmstadt (where he picked up an American Officer who wished to go to England on leave) Brussels and several other airfields on the Continent. He cleared customs at Shoreham on the 24th December and flew on to the Chilton Works the next (Christmas) day. On arrival a number of German aircraft accessories were unloaded and taken to the works. These included among other articles 12 altimeters, 7 artificial horizons and 2 Bosch magnetos complete with leads. It is understood that at some part of the journey the starboard aileron trim connecting rod became disconnected and severe vibration ensued. The pilot affected an emergency repair by taking off the broken rod and inserting a bolt in the gap between the aileron and the outboard end of the tab, thus locking the tab to the aileron and preventing any relative movement. Under those conditions the port aileron (servo) tab would be in operation but the starboard tab would not. Examination of the wreckage. The condition of the wreckage was consistent with the aircraft having struck the ground when banked steeply and sideslipping to the right. Most of the aircraft had been gutted by fire which broke out when it crashed. The starboard wing, however, had been knocked off and lay about twelve yards from the main wreckage and just outside the fire area, and the starboard aileron fell a 100 yards away. A detailed examination of the wreckage, carried out partially at the scene of the accident and subsequently in the A.I.B. hangar at Croydon, established that the primary failure of the airframe structure had occurred at the inboard hinge bracket of the starboard aileron after separation of a badly glued joint. The failure had occurred under down load on the aileron i.e. when the aileron was “up”. It was further noticed that the bolt the pilot had inserted between the aileron and the tab was missing and the marks where it had been were of such a nature as to suggest that the bolt had fallen out owing to the nut becoming unscrewed. The Materials Department, Royal Aircraft Establishment have examined the samples of plywood from the aircraft and confirm our opinion that the glued joint between the aileron inner hinge bracket and the top skin of the starboard wing was bad. In this particular case the pink hardener was applied to the plywood and the synthetic resin glue to a 12.5mm wooden ply strip forming part of the hinge bracket, a common practise. This strip was unfortunately missing so that it is not possible to determine why the joint in question was so weak. Our examination of the inboard half of the starboard aileron indicated that the primary failure at the inner hinge was followed by a downward bending failure at the middle hinge. The S.I.B. (Special Investigation Branch) are investigating the circumstances surrounding this accident. Two men lost their lives when a German plane crashed and burst into flames in a field beside a wood near Hungerford on the afternoon of Christmas Day. It is understood that the 'plane, a Fieseler Storch, stated to be of the type used by Nazi paratroopers to rescue Mussolini in September 1943, also used by Rommel for reconnaissance behind the Front line in the Western Desert, had been flown from Germany by Mr. Phillips arriving in England on Christmas Eve. It is a three-seater high-wing co-operation monoplane, of very light type with a small engine and a landing speed of only 30 m.p.h. At the Inquest held in Hungerford on 27th December 1945, the deceased were formally identified as The Hon. Andrew William Henry Dalrymple M.A., the 31 year old son of the Earl of Stair, of Lochinch Castle, Stranraer, Wigtownshire, Scotland, and Mr. Denys Basil Phillips, aged 24, of Rose Farm, Mollington, Cheshire. Both men were connected with the Chilton Aircraft factory near Hungerford, The Hon. Andrew Dalrymple being part owner and aircraft designer, and Mr. Phillips employed in the capacity of aircraft technician, having previously been a flying instructor in the R.A.F. until he was invalided out. Mr. Paul Francis Davison Bush, of Mill Hatch, Hungerford, manager of the Chilton Aircraft factory, identified the body of the Hon. Andrew Dalrymple by a shoe he was wearing just prior to the accident. He saw both men seated in the aeroplane as it flew past him at a low height. Shortly before it left the end of the field, and when it was climbing the starboard wing collapsed and the aircraft crashed to earth. He started to run as soon as he saw the wing collapse, but by the time he reached the spot the wreckage was burning very fiercely. "I was unable to get too close, but after about ten minutes could see parts of both bodies entangled in the wreckage" he said “It appeared to me that both had almost certainly been killed before the machine caught fire, as the whole of the front of the fuselage had collapsed." Mr. Alexander Reginald Ward, of Chilton Lodge, who is a ferry pilot, said he saw the 'plane fly straight and level over his head and was walking in the opposite direction to talk to someone, when he suddenly noticed that a wing of the machine had folded up in the air, the aircraft immediately spun to the ground. The Coroner, Mr. S. V. Pinniger, recorded a verdict that both men died from injuries and burning sustained when their aeroplane accidentally crashed and was destroyed by fire. He expressed his deep sympathy with the deceased men’s relatives and all concerned in this sad accident. Both bodies were removed from the district for cremation. With the death in a flying accident of the Hon. Andrew Dalrymple the aircraft industry has lost a prospectively outstanding aeronautical engineer. Though comparatively little known – largely because of his dislike of that habit of self publicisation which has become an often ridiculous feature of modern industry, he had already clearly shown his design abilities and might, if spared, have done great things in the world of aviation. He was immensely keen on his self imposed career and though the firm of which he was co-founder was a small one, he was very far from”playing” at the game of aircraft design and development. With Mr. A. R. Ward he ran an aircraft manufacturing concern, Chilton Aircraft, and had in pre-war days, designed and built a quite outstanding single-seater monoplane. Since the war, during which his firm was engaged on sub-contract work, he had been interested, pending the arrival of better opportunities for power driven light aircraft, in sailplane design. As far as visual evidence can show, the accident, in which Mr. D. Phillips also lost his life, was caused by structural failure in a Feisler Storch which had been brought over from Germany. The Special Investigation Branch were involved as the aircraft had been taken from the American Zone of Occupation without authorisation. One must of course put this in the context of the time, being a few months after the war, the newly liberated allied countries were still in turmoil trying to establish the most basic civil services, Germany was effectively a lawless state with almost complete social breakdown. The Allies were systematically destroying all military aircraft, so I'm sure the thought of liberating an aircraft that was due to be scrapped anyway, did not pose any particular ethical dilemma, as no doubt they could have regularised the situation once the machine was safely back in the UK. It’s interesting to note, that so complete was the Allied destruction of the German Air force, that virtually the only German WWII military aircraft that survive today, are those that were repatriated to the U.K. and the U.S.A. for technical evaluation, latterly a small number of aircraft have been rebuilt from wrecks or those found in the ex Soviet Bloc countries. After the accident when the question was posed by one of his employees as to the possibility of any further aircraft manufacture, this understandably elicited the comment from Mr. Ward, that he would not build any more aircraft unless he could "walk on the wings in hob-nailed boots"! Thus ended Chilton's involvement with powered aircraft manufacture, their intention to supply sets of drawings for the Chilton Monoplane doesn't seem to have actually come to fruition, possibly because of the rapid expansion and success of their newly created electrical products. By a strange coincidence some thirty years later I met an American gentleman named Hollis Button who had been a Captain whilst stationed at Chilton and had arranged for the Storch to be made available in consideration of a Triumph motorcycle. Due to the circumstances, needles to say, Button did not get his Triumph. I had corresponded with Mr. Ward about the Chilton since 1974 but when I first met him back in December 1984, I recounted the tale of the Storch as told to me by Captain Button, but Mr. Ward simply said “we don’t talk about that” so I took him at his word. "The first Chilton Olympia Sailplane from Chilton Aircraft Ltd of Hungerford was flown with complete success on Saturday at Theale by Mr. Dudley Hiscox for whom the machine was made. The machine was conveyed from Chilton to Theale where it was assembled in the hanger under the critical inspection of a number of gliding enthusiasts who expressed admiration for the high quality craftsmanship and superb polished finish. The specially moulded windscreen streamlines the cockpit and dive brakes are fitted to prevent the machine exceeding 130 miles per hour in a dive. The machine normally flies at 37 miles per hour and lands at just under 30 miles per hour." In 1946 Chilton commenced the production of an electric shaver, the Chilton BUK and were appraising a circuit breaker manufactured by Stotz Kontact, in Germany, by 1949 the decision had been made to concentrate on the production of electrical goods, whilst maintaining the customer base for machined parts. In 1949 Mr. C.A.F. Fuller-Shapcott was employed to set up the sales organisation for the company under the banner of Chilton Electric Products Ltd., Chilton Aircraft were still the manufacturing element. The electric shavers, hair clippers, shaver sockets, circuit breakers, rechargeable torches and spin dryers (the first spin dryers in the U.K.) proved very successful and by the mid 50's the buildings in the grounds of Chilton Lodge had become totally inadequate, so a new factory was built in nearby Hungerford. 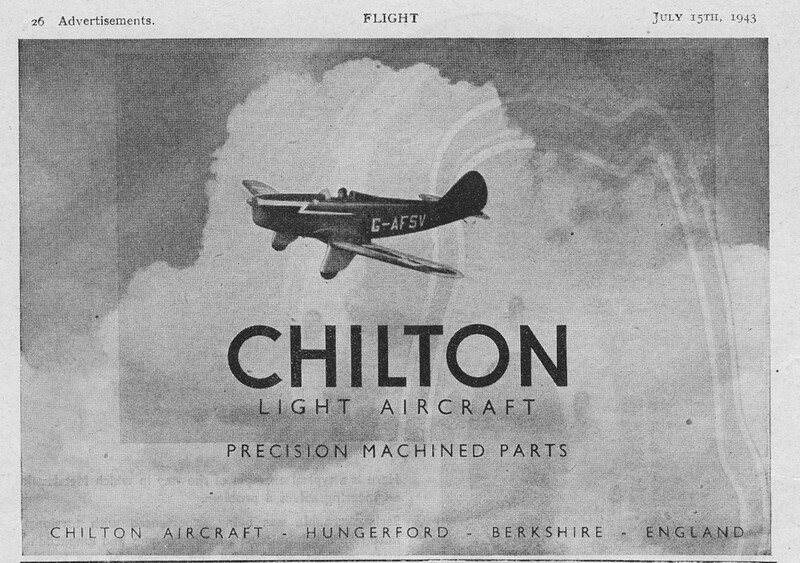 The sub contract side of the business remained for a short time under the Chilton Aircraft banner, but eventually became Chilton Engineering Ltd.
George Palmer, remembers starting work at Chilton Electric Products in July 1959, just two weeks before the factory moved from Chilton Foliat to Hungerford. In preparation for the move, one of his first tasks was to clear the old drawings from the roof space of the drawing office, amongst the drawings that were to be dumped were a number relating to the Chilton Monoplane and a proposal for a twin engined aircraft with seating for pilot and four passengers, all of these drawings were handed to Reggie Ward, but quite what became of them is unclear. George worked for Chilton and its subsequent owners until 1980, much of the time alongside Fred Luscombe. The company continued as Chilton Electric Products Ltd until approximately 1964 when it became Ottermill Chilton, later going through a further change of ownership in the early seventies when it was taken over by the Westinghouse Corporation. Fred Luscombe the original employee, finally retired from his position of Service Manager in 1977 after 41 years service. During the mid eighties Westinghouse transferred all manufacturing to Ireland and sadly the factory in Hungerford was closed down in November 1985 and demolished, the site being sold for housing, today, none of the original companies bear the Chilton name. All four Chiltons survived the war to fly again, G-AFGI was purchased in 1949 by Lt. Cmdr. John Sproule, was rebuilt and fitted with a well engineered tear drop bubble canopy. Her next owner Hugh Kendall, worked on the Ford engine and was handsomely rewarded when ‘FGI won the South Coast Air Race in 1951 at 130 mph, an incredible speed for an aircraft with a 30hp engine. 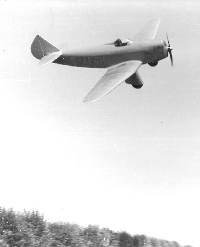 The Carden-Ford engine was replaced with a 55hp Lycoming by a subsequent owner and this in turn was replaced by a 60hp Walter Mikron II (ex. G-AFSV) during the eighties. ‘FGI still flies regularly from its White Waltham base in the hands of enthusiastic father and daughter owners, John & Kathy McDonald. G-AFGH was the Company demonstrator pre-war when it was flown by no less than 176 different pilots over a fifteen month period. G-AFGH was sold to Ranald Porteous in 1948, was overhauled and was reluctantly sold to a syndicate based at Denham. 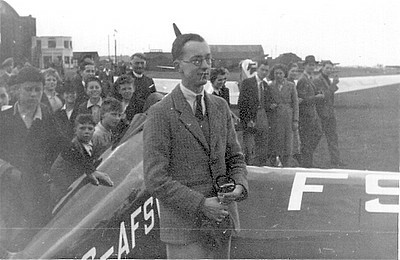 The following year the aircraft was seriously damaged during a forced landing, the majority of the damage being confined to the fuselage, the fuselage of ‘ESZ was borrowed to enable ‘FGH to race in the forthcoming Grosvenor Challenge Cup at Elmdon on 1st August 1949. After being re-engined with a 55hp Lycoming engine in the nineteen sixties, it will shortly revert to its original Carden-Ford engine and works colour scheme of blue & silver, this is being carried out by the Newbury Aircraft Co, just a mile or two from where she was built, on behalf of owners Graham & Michael Joseph. As for my own two Chiltons, G-AESZ after a considerable amount of flying (87 different pilots pre-war) was damaged beyond economic repair in 1953 in a forced landing following engine failure. However after restoration with Vic Long at Wymondham who did a super job of the structural work, the Chilton was finished and fitted out by Newbury Aircraft Co. Although having the aircraft restored professionally dented the old piggy bank somewhat, it was wonderful to finally receive a phone call to say she was finished. Then arriving at Denford Manor to see her sitting outside the workshop complete and gleaming in the sunshine, at long last coming to life in colour from all those grainy black and white photos I had studied over the years. Amazingly right from her first post restoration flight she has flown with absolutely no problems or adjustments and has returned effectively book figures as stated in the pre-war write ups, the advertised fuel consumption figures of 1.7 gals per hour, I rather uncharitably thought could be a slight exaggeration but this has proven to be correct giving approximately 60 miles to the gallon. Through the generosity of Torquil Norman, ‘ESZ lives at Rendcomb private aerodrome near Cirencester, this being the nearest one can get nowadays to a pre-war aerodrome, being without runways, just an open expanse of mown grass enabling take off & landing in any direction and with no brakes this is much appreciated. Since her first post restoration flight from Rendcomb she has since flown over 50 trouble free hours mainly flying associated with being a participant in the Shuttleworth collection’s air shows at Old Warden. 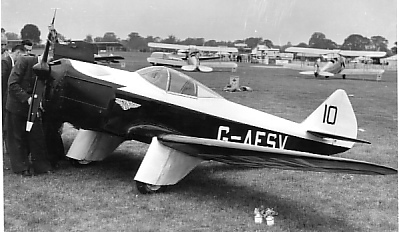 My other Chilton G-AFSV, is thought to be the first aircraft to be issued with a Permit to Fly post-war, and on 31st August 1947, she flew in Folkstone Trophy Race piloted by Ranald Porteous, he took third place, then he continued and flew a fourth extra lap after the race establishing a new International FIA Class "A" 100km closed circuit speed record of 123.72 mph for engines of two litres and under. During 1950 ‘FSV was overhauled by the Chelsea College of Aeronautical Engineering at Redhill under the supervision of Gp. Capt. Edward Mole. On the 16th Sept. of that year the Daily Express International Air Race took place from Hurn Airport along the coast to Herne Bay, flown by Gp. Capt. Mole the Chilton averaged 143 mph. In the mid fifties ‘FSV was re-engined with a 55hp Mikron II and raced at a fraction below 150 mph. She was in this configuration when I acquired her in 1978 but was obviously in need of some work which in my case meant returning her to original pre-war spec. with 40hp Train engine. Her post war racing career had not been kind to her appearance, as she was fitted with a non standard undercarriage with tiny light weight sailplane wheels, a modified rudder that had been increased in area, a rather angular looking cowling to house the Micron II engine, the wing flaps had been removed and the area covered with fabric to reduce drag, an oversize headrest from the days when she was fitted with a canopy, all topped off with a ghastly colour scheme, so all this had to come off and be replaced. Finding just what should be there could have presented a major problem but it was my good fortune that the late Reggie Ward, the co-designer of the Chilton very kindly let me have those drawings that had survived, many were missing but all the important ones were there along with a wealth of photos, as happily Mr. Ward had been a keen photographer pre-war and some of these early photos proved invaluable. On stripping the airframe she proved to be in remarkably good condition with the old casein glue being completely sound when the various areas of ply were removed for inspection. The biggest problem was that of oil soakage in the forward floor & longerons that required replacement, by contrast to ‘ESZ, I did all this work myself. During the rebuild it bought home to me just how the attention to detail that had repaid the designers with exceptional performance on such low power with weight saving being obviously uppermost in the designers mind, for example the longerons are five eights of an inch square from the front bulkhead to the cockpit thereafter tapering to half inch square at the sternpost, so if material doesn’t need to be there, it isn’t! It says a lot for the original design now almost 70 years old that the only modification I have had to embody by way of a concession to modernity is the repositioning of the shoulder harness attachment point to a higher position in the structure, to ensure that the harness did not merely stop the pilot falling out of the plane, but restrained him from moving forward in the event of a crash which it now does, a useful by product of this modification is that it has made the harness more comfortable to wear. Having made the decision to replace the Micron purely in the interests of originality, I found that the Train 4T engine is a very rare beast indeed but after much searching over many years I have managed to acquire three of these elusive engines. The Train is an over-head cam engine with the little exposed cam followers pumping oil out to the atmosphere so it is easy to see the source of the oil soakage, luckily one of the engines I acquired had a simple aluminium fabricated box fitted around the cam casing to contain and direct the oil dripping from this area, a simple modification that I shall embody. I am currently building up the Train and hope to have it fired up for the first time shortly, as with the Carden-Ford engine I’m on my own, with no one with any experience of these engines but if I get it wrong I will be the first to know! Chilton Lodge, set in its parkland, is still in the ownership of the Ward family and remains almost unchanged, although the large west wing of the house was demolished in the early 1950's but the building in which the Chiltons were built seventy years ago has now long gone. However, echoes of the Chilton still ring down the years as was evidenced when on the 13th August 1999 the newly restored Chilton G-AESZ was moved up from its Hungerford workshop at the kind invitation of Gerald Ward, it sat in the sun on the front lawn of Chilton Lodge where an assemblage of guests were invited from the Chilton factory, all assembled agreed that the old adage of “If it looks right, it is right” was never truer than when applied to the Chilton Monoplane.